Personal training is a highly rewarding field for clients and coaches. Clients receive the tools and expert insight necessary to help them achieve their personal fitness goals. Coaches witness the transformations of their clients, feeling privileged to be a part of the success. 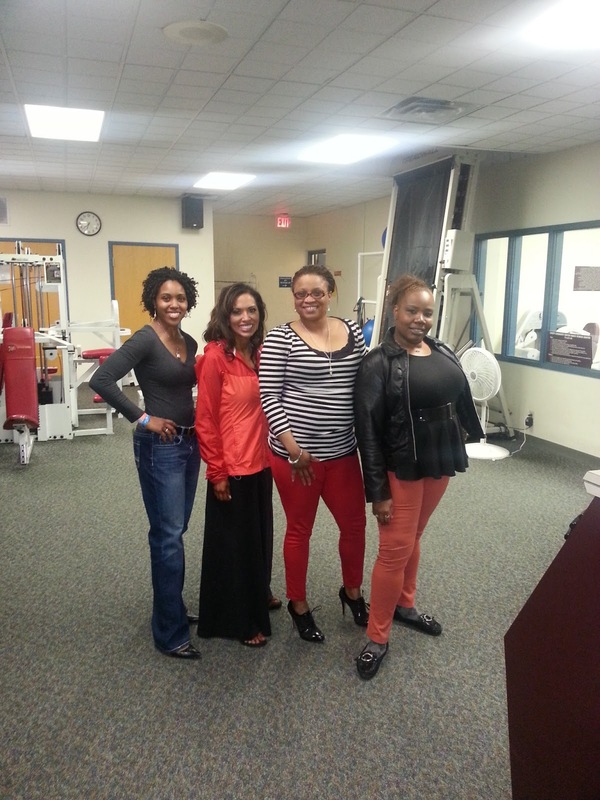 This week, we spoke with Karena T., one of Candice’s clients. We asked her to share her insight from a client’s perspective regarding the benefits and value add of having a personal trainer. Here is what she shared regarding her experience, things learned, and working with Candice. Since beginning your fitness journey, what accomplishment are you most proud of and why? I started my weight loss Journey in 2011. I am most proud that I have lost the weight I wanted to lose and kept it off, and with Candice’s help I am now in process of toning my body. What are the top 3 things you do to maintain your progress, and do you have any tricks you utilize to stay fit? I go to bed early, stay motivated to go to the gym, and I try to get outside to do activities. How do you overcome the days you do not feel like working out or eating clean? I remind myself that I do not want to go back to the weight I started at. For someone who is on the fence about making a healthy lifestyle change, what words of encouragement would you tell them? Once you start eating better and working out, you will feel so much better about yourself. 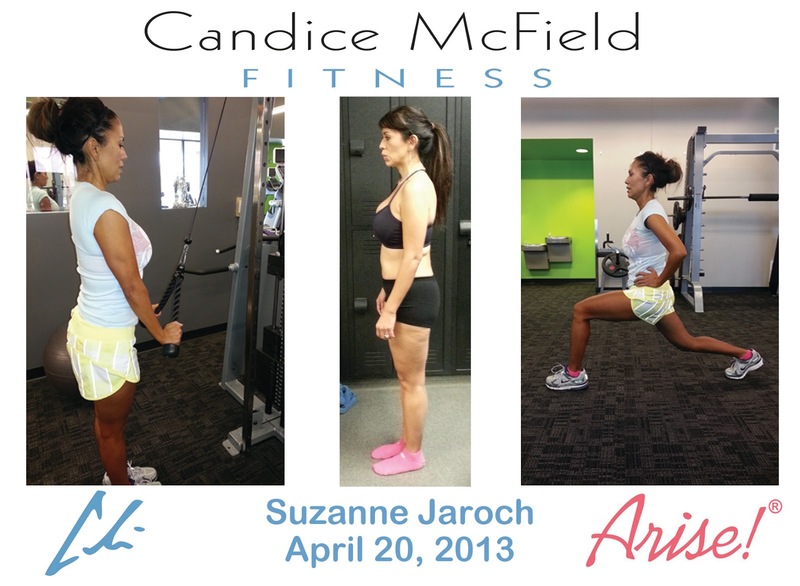 Describe your experience working with Candice McField Fitness. It has been fantastic! I love the workouts that are sent to me, most of them I have never done before and I like trying new things. Today, Candice McField will take the stage. She won’t be speaking to a large crowd. She will be competing. As the clock winds down, the mental fortitude and willful discipline kicks into high gear. Candice is a competitor in every sense of the word. She competes in life, business, and fitness; her greatest competition is herself. In this 2-part interview series, Candice gives you some insight into exactly who she is. Have you always been into fitness? No. I wasn’t always in fitness but I have been an athlete from 3 or 4 years old. Growing up, my best friend was male and I was the only female my age in the neighborhood. Much of my time was spent playing many sports with the boys. I never truly lifted weights until college when my roommate taught me how to lift, but it wasn’t until 2005 that my passion for ‘fitness’ sparked. What attracted you to figure competition? I have always been very driven. I saw my first bodybuilding show in April 2004. I was there in support of a friend. While there, I had an opportunity to see some of the women competing in figure. At that moment, I thought to myself, ‘I can do this.’ A sport I had never heard of amazed me. Growing up, I was the kid that wanted to do everything. To me, this was a sport I had not tried, let alone conquered. When I set my mind to something, it is all about conquering that goal. At that time, it was all about conquering being on stage, like the women I saw. I wanted to see if I could transform my physique to new levels. One year later, I decided to try it. Two years later, I won my pro card and I’ve been competing ever since. I never imagined I would fall in love with the sport, but I have and here I am 13 years later. What attracted you to personal training as a career? As mentioned, I began competing in 2005 and during this time, I worked in finance. While working in finance, I always had people asking me about what they should eat and what exercises they should perform. My dream and passion quickly turned into being able to help people transform their life and physiques. Because I have been an athlete all of my life, it is such a natural fit. I love what I do, inspiring others as a health coach. How do you balance career and personal fitness goals? Finally, I utilize a seasons training model like the one I teach my clients. Your body cannot stay in a high-intense training model year-round. I train according to my goals. My regimen when ‘in-season’ for competing is completely different from when I am more relaxed in the ‘off-season’. I LOVE, LOVE, LOVE watching all my clients transform their physiques and achieve their goals and dreams! For the past five years Suzanne has wanted to step on stage and today she made that happen! I’m so honored to have had the opportunity to help you achieve this milestone. I’m so proud of you and I can’t wait to rock my Tito’s shirt!! What an awesome gift. Thank you so much!